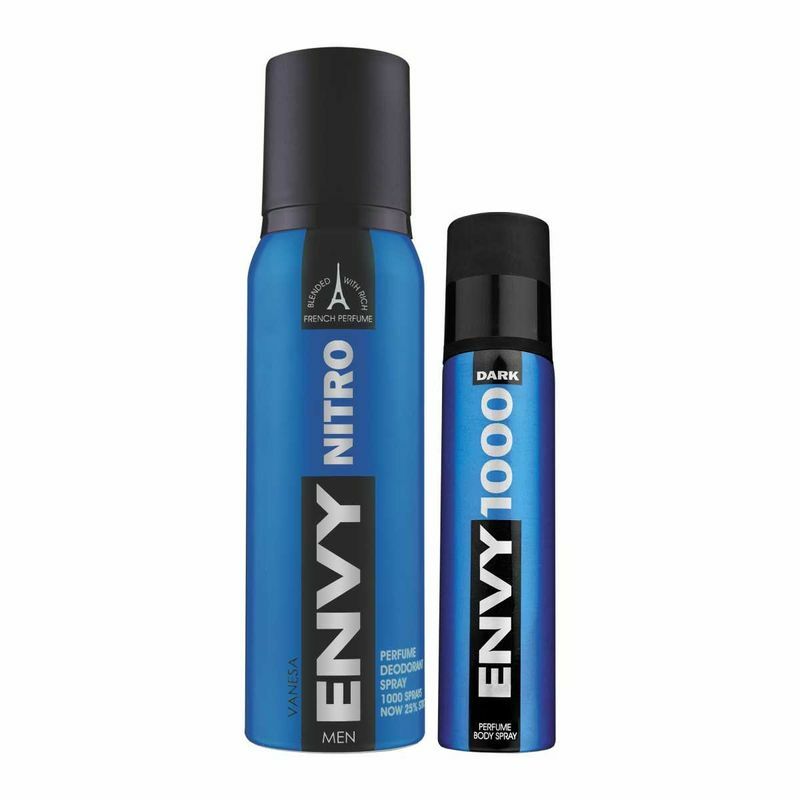 Envy Nitro Deodorant for men is a fragrance for the man who has a 'never say die' spirit towards life. The zest of this powerful fragrance comes from its top notes which consist of green apple and grapefruit, middle consist of carnation, sage and geranium while base notes are enriched patchouli, fir and cedar. Now with Envy Dark Nano Deodorant body spray for men feel the mix of both worlds. The Envy Dark Deodorant spray wraps you in a fragrance blended with rich French perfume that thrills everyone around you. Let your dark side rise and leave the world envious.